The Korean War is multiple wars. Not only is it a war that began on 25 June 1950, but it is also a conflict that is rooted in Korea's colonial experiences, postcolonial desires and frustrations, and interventions and partitions imposed by outside forces. 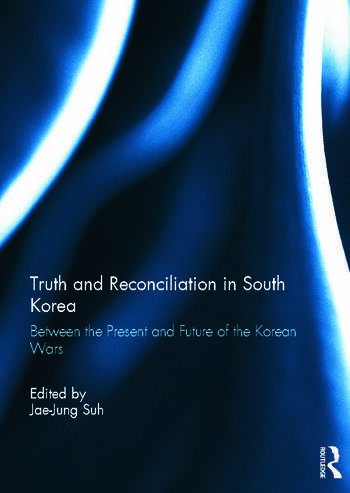 In South Korea, the war is a site of contestation: Which war should be remembered and how should it be remembered? The site has been overwhelmed by the Manichean official discourse that pits evil communists against innocent Koreans, but the hegemonic project remains unfinished in the face of the resiliency embodied in the survivors who have withstood multiple killings by the state. The historical significance of the Truth and Reconciliation Commission, Republic of Korea (TRCK), lies in its success in bringing back to life the voices of the silenced that complicate the hegemonic memory of the war as yugio, the "June 25th war." At the same time, the Commission embodies the structural dilemma that the effort to give voice to the silenced has turned to the state to redress the state's wrongdoings. The TRCK as such stands on the problematic boundary between violence and post-violence, insecurity and security, exception and normalcy. Truth and reconciliation, and human security, are perhaps located in a process of defining and redefining the boundary. This edited volume explores such political struggles for the future reflected in the TRCK’s work on the past war that is still present. This book was published as a special issue of Critical Asian Studies. Jae-Jung Suh is a political scientist who has worked on security issues over the Korean Peninsula, U.S. role in Asia’s security, and collective memory in Northeast Asia. His publications include Power, Interest and Identity in Military Alliances (2007); Rethinking Security in East Asia: Identity, Power and Efficiency, co-editor (2004); and "Race to Judge, Rush to Act: The Sinking of the Cheonan and the Politics of National Insecurity", in Critical Asian Studies (2010).